The week before school started I was pretty gosh darn stressed out. Busy doesn't even describe. I was feeling the pressure and it was noticeable to everyone around me. Just when I didn't know how much more I could take, my sweetest gem of a hubby booked me a swedish massage. He was the most precious and wanted to surprise me but he couldn't wait so he told me the day before! I was so excited and just felt so loved and pursued by him. We woke up that Saturday morning and went to Starbucks. I got an iced coffee and some lemon pound cake. Ryan got the house brew and started working on some homework. I ate my pound cake and sipped my coffee until my bestie friend Jessica got there. 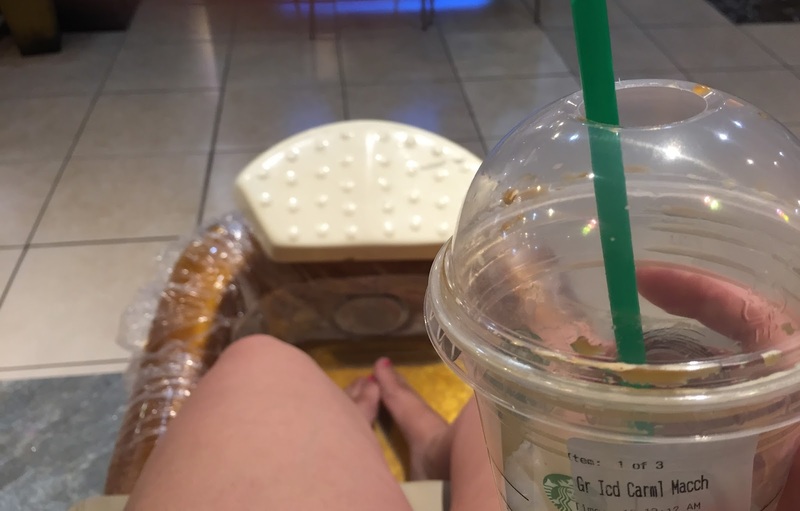 Then we walked over to the nail salon in that same shopping center and got ourselves some pedicures! I had been needing one after such a busy summer with a kiddo so it was quite over due. After our pedicure I went home to rest and eat something for lunch. I guzzled as much water as I could to prepare for my afternoon. I got ready in the comfiest outfit I could put together and headed out the door to get my first ever massage!! !